Joe Brugger has worked in the Garage Door Industry since 1988 and created Joe’s Overhead Doors in 1995, specializing in installing, repairing and sales of Overhead Doors for residential homes, commercial business and agricultural facilities. Working with quality manufacturers like Haas Doors, LiftMaster and Trac-Rite, a few short years later in 1999, Joe’s dedication to quality and service allowed him to move the business to a small farmette in Mineral Point, WI. In 2004, Joe married his wife, Deb, who took over administration duties full-time. As the business grew, Joe’s Overhead Doors expanded by adding a new workshop and office in 2015. The following year, they added a gutter machine and trailer, then changed the company name to suite, now Joe’s Overhead Doors & Seamless Gutters, LLC. Joe & Deb employ dedicated professionals and are passionate about providing quality products, service and workmanship at an affordable price backed by a solid warranty. 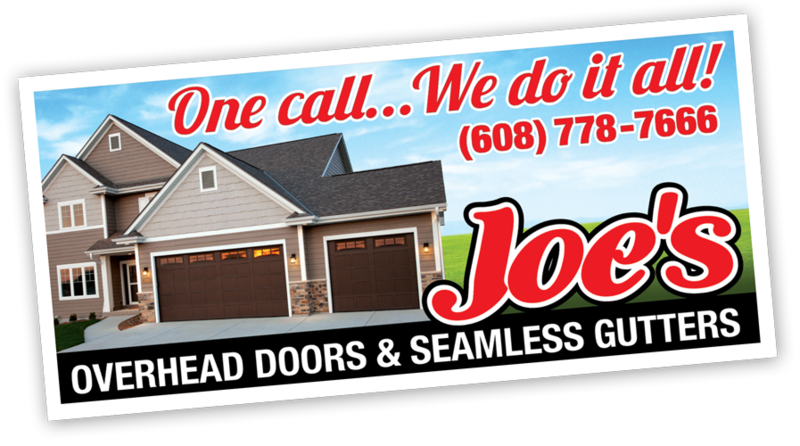 With a customer-centric philosophy and knack for one-of-a-kind quality, service and attention to detail, we know you’ll be more than satisfied with Joe’s Overhead Doors & Seamless Gutters for any of your overhead door needs – no job is too big or too small.